Spain visa, especially Spain tourist visa is in great demand among tourists who plan to visit Europe since Spain has beautiful sunny climate compared to most of the other European destinations. Thispost will help you in breaking down all the requirements for a Spanish visa and make it clear as to how you can get a Spanish visa in record time. We will be covering only short stay visas in this post. Short stay visas include Spain tourist visa, Spain business visa, Spain short-stay visits by relatives and friends of EU nationals. This post will also assume that you will be applying for a Schengen visa in the Spanish Embassy. A short-stay Schengen visa (visado de corta duracion) allows you to stay in Spain – but not work – for up to 90 days in a 180-day period. If you have a Schengen visa issued by another Schengen state, you can also come and stay in Spain for 90 days. Nationals from the US, Australia, Canada and New Zealand don’t need a short-stay visa to enter Spain but will need to apply for a long-term residence visa to stay longer than three months. You need to complete an application form, and apply through the Spanish embassy or consulate in your home country. You can renew your short-term visa at your local Foreigner’s Office (Oficina de Extranjeros) or Police station as long as you will be staying in Spain for a total of less than 90 days. You can’t come to Spain on a short-stay visa as a visitor and change your status to employee, student or resident from within Spain – you have to return to your home country and apply for a new visa from there. Find the contact details of the Spanish embassy or consulate in your own country to apply. Unless you’re a citizen of the EU/EEA or Switzerland you’ll need a longer-term national visa (visado nacionale) if you intend to live, work, study or carry out research in Spain for longer than three months. This will depend on your purpose of stay, as detailed below. a residence visa (visado de residencia) for family reunification or retirement. There is a youth mobility agreement between Spain and Canada for young people aged 18 to 35 to visit Spain to travel and work for up to a year. For details, see one of the Spanish consulates in Canada. You can apply for a long-term visa from the Spanish consulate or embassy in your home country, or sometimes online on their websites before you come to Spain. The application must be made in person or through an accredited representative, and you usually have to pay a non-refundable fee of around EUR 60. Allow plenty of time for the consulate to process your application – check with yours for the timescale – and you or your representative must collect it in person. As of 2014, non-EU national investors, entrepreneurs, highly qualified professionals and researchers can now apply for fast-track visas and permits, which offer preferential treatment, such as automatic residence for the whole family with no minimum stay, and free travel throughout the Schengen visa region. However, there are conditions to fulfil for each category, for example, investors may need to spend EUR 500,000 on a Spanish property. For more information on requirements for each category of applicant, contact the Spanish embassy or consulate in your home country. Consult your local Spanish consulate or embassy for information on obtaining a visa. If your country is not listed, ask the embassy or consulate what your specific requirements will be to enter Spain. You may only apply for a Spanish visa from a consulate or embassy where you a legal resident, so (for example) you cannot apply for Spanish visa from Portugal or Iceland if you are a legal resident of Chicago. The consulate's website should provide a list of all the required items for your visa and how long it will take. If you do not understand, ask the consulate what is required for your application and how long the application process will take prior to making your travel arrangements. Be aware that some consulates are understaffed and may not respond to requests in a timely manner. Obtain a tourist visa application from your Spanish consulate. You may also access the Schengen visa department online at www.schengenvisa.cc to download an application. Fill out all required fields of the application. This will include your name, address, birth date, passport information, employment information, accommodations while in Spain, financial and employment information, and your reason for travelling to Spain. Gather the proper documentation to submit with your application form. Provide your valid passport with 2 passport photographs, a copy of your passport, another ID that provides proof of residency and a copy of that ID. Provide valid documentation of your current health insurance, as well as a copy of your health insurance information. Provide proof of travel to Spain, including copies of your hotel/accommodation reservations, airline reservations and tour tickets. Obtain proof of sufficient financial stability for the duration of your stay. This is usually requested as a bank statement plus a copy. It may also include a notarized letter from a Spanish citizen saying they will be financially responsible for you. Submit your visa application in person at the Spanish consulate nearest to you, along with the required documentation. Pay all applicable fees for the application, which will be due at the time of submission. Read this carefully as the type of acceptable payment differs from one consulate and country to another. In Australia, you can pay with cash. In the United States, you are often required to pay with a money order. Since Nov 2014, when applying for Spain visa, it is mandatory to fill in the Spain visa document checklist for applying for visa in Spanish embassy. This has to be duly filled and submitted along with your visa application. Duly filled Schengen visa application form. This needs to be filled in blue ink and signed by the applicant. Make sure that you have filled the visa application with all the required information. After you have filled the visa application, make sure you make a copy of the application which will be helpful for you to revise when you go for your visa interview. You can now fill the entire Schengen visa application online and take a print out if it. No need to run around for a pen, no need to worry about typos. Duly filled and signed Sworn Declaration: Although it is not mandatory for visa applicants of all countries, it is mandatory for Spain visa applicants from India to fill and submit this form. In any case, we suggest all the visa applicants to fill this application and keep this handy. Passport with at least two blank pages and valid for at least three months from the visa application date is mandatory. 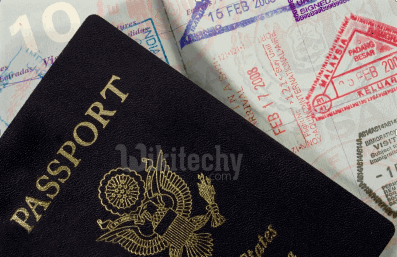 If you have an old passport, then even that needs to be submitted along with the application. If you are a minor, then the application must be filled and signed by both the parents along with photo copies of parent’s passports. Two photocopies for the application form along with two recent photographs for Mumbai and three recent photographs for Delhi (35-45 mm) of the applicant with white background. Personal Covering letter from the applicant, explaining in detail the purpose of the visit. This needs to explain in detail your entire travel itinerary, all the documents that you have submitted in order addressing the Embassy of Spain in your area. Not to worry, we have attached a sample that you can modify for your needs. A medical insurance with a minimum cover of 30,000 euros. We suggest you buy this online. It is is not difficult to get an insurance policy under $50.We suggest to pay a little extra and get one which you can cancel and get full refund. 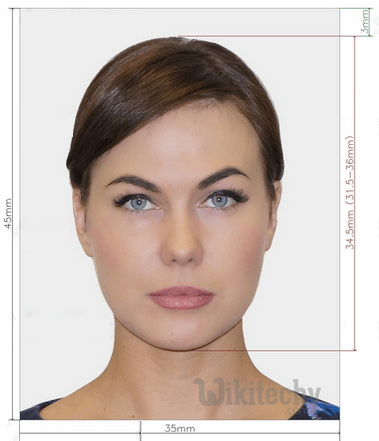 This option helps in case your visa gets rejected. A simple email will be sent to you with details of your insurance policy number. A copy of that will do. This process does not take more than 5 minutes. 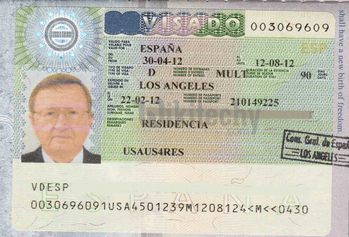 A confirmed Flight ticket booking or Flight reservation for Spain visa from a travel agent. A flight ticket need not be booked in advance for a visa. Once the visa is confirmed then a flight ticket may be purchased. Flight itinerary is a safer way of submitting a visa application without buying an actual flight ticket which is expensive if your visa is refused. In fact, the European union visa requirements for visa states the same. Round trip reservation or itinerary with dates and flight numbers specifying entry and exit from Schengen state. Some Schengen authorities accept the itinerary when applying for the visa but request the original air ticket when visa is collected. The Embassy of Spain does not hold responsibility for the expenses or loss incurred if you buy a flight ticket in advance and your visa application is cancelled. If you are planning to travel to any other country other than Spain, then you need to have flight itineraries for each and every location. Hotel booking, hostel reservations for Spain visa, or any other country that you are planning to stay. So, you will need to make all the hotel bookings and reservations before you leave. Again, you can use an online travel agent to make hotel reservations for visa applications for you without you having to swipe your card. This may not seem important but when you factor in all the currency conversions, filling up each and every form and HUGE cancellation fee if you can’t make it to one place then it is always reasonable to get it done through online agents. An added benefit is most of the travel agents charge you about $50 for the entire trip and not for each and every booking, which is a bargain when you factor in currency conversion charges. Read our post about hotel booking for visa here. If you are UK citizen: Proof of financial means to cover the cost of the intended stay (latest three months UK current account bank statements (original and copies) showing a positive balance with a minimum amount of £ 500.00 regardless of the length of stay in the Spain/Schengen States plus and extra 10% of this amount per day per person when stay in Spain/Schengen States exceeds the 10 days. Statements need to show the last 3 months’ salary payments and applicants home address in UK. Cash or travellers cheques are not accepted as proof of financial means. Original bank statements of the applicant for last three months, with the original stamp and signature of authorized signatory of the bank (Online Bank statements are not acceptable). This is a mandatory statement. An additional fee of TT$ 15/ US $ 3 will be levied as surcharge on each Visa document as per Government instructions. Applicants other than Citizens of Trinidad & Tobago, Grenada, Commonwealth of Dominica and Montserrat may consult the Consular/Visa section of the High Commission to ascertain the Visa fee. Visa processing will commence after payment of fee. There will be no refund of visa fees in the event of non-issue of visa. Each visa application is considered on its merits and the Embassy may seek additional information at any stage during processing of the requests. Receipt of visa application and fees by the Embassy does not guarantee issue of visa. Visa may be declined without assigning any reason. Visa requirements depend upon the foreign individual’s citizenship and his or her intended length of stay in Spain. Nationals of EU countries regardless of purpose do not require visas. They are valid for a stay, not exceeding 90 days. Since visas are never issued in Spain, you must apply for them before you leave your country of residency. It is important for the non EU nationals to obtain in advance the correct visa that gives you the right to work in Spain. If your Spain job search and application for the Spain visa and Spain work permit have been successful you should start preparing for the Spain job interview..
Do not forget to take a look at Spain dress code because how you dress is the one of the most important attribute in being hired..
Good luck with your Spain visa!